3-CD box set is the 3rd volume (in a series of 5) containing Beiderbecke's complete recordings & alternate takes. 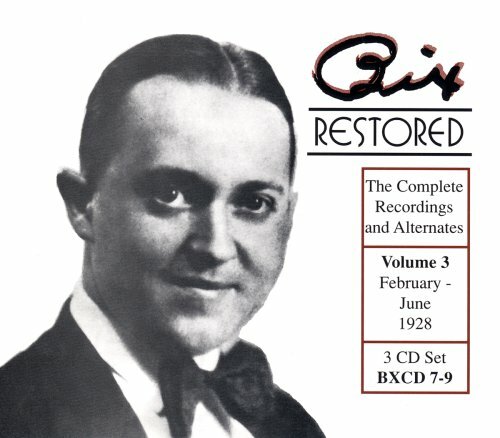 This 69 track collection contains his output from February through June 1928, and features the orchestras of Paul Whiteman, Frank Trumbauer, Bix Beiderbecke's Gang, vocals by Bing Crosby, Jack Fulton, Austin Young & others. Includes the songs 'Sugar,' 'Somebody Stole My Gal,' 'Thou Swell,' 'Borneo,' 'When You're With Somebody Else,' selections from 'Show Boat' & more. If you have any questions about this product by Origin Jazz Library, contact us by completing and submitting the form below. If you are looking for a specif part number, please include it with your message.